Thread: What If??? A HBK Question. Re: What If??? A HBK Question. Which injury are you even referring to caused by Sid? If it's the "Back injury" that kept Shawn out of WM 13, it's pretty much a BS injury to keep from jobbing to Bret and that's still after he would have went to WCW. I can't think of another back injury prior to that. Before that, it was just his yearly knee injury back when he was in The Rockers. I think Shawn has a good solid career and politiks himself in to a nice position, but his worst excesses would take out and he end up in a bad way. I don't know what sort of politicing Shawn could have really done in WCW. The whole reason why he got away with so much in the WWE was because McMahon had a hard on for him. In WCW, right away, HBK is having to deal with Hulk f'n Hogan and his politics. I could see Michaels being pretty comparable to Hall where he's in a good spot, but he's never a main eventer and his own personal demons would get in the way down the road. If he leaves in 1996, he gets lost in the shuffle of big names that WCW had. Between Hogan, Sting, Luger, Nash, Savage, even more Hogan, Flair - WCW was stacked at the top. I don't think there's the window of opportunity for Michaels to become a main star like he was in WWF where the top guys were literally him, Bret, Undertaker and Mankind. The latter two weren't really treated as the centrepiece of the show, but more supporting characters. In WWF there was a void where he could become the top star, in WCW he doesn't have that. The more interesting factor is what happens in WWE. No Michaels means that Austin's push probably gets accelerated. WWE are probably more aggressive with their pushes for Ahmed Johnson, maybe Vader remains relevant. I think Austin and Rock still become big stars albeit their rise to the top is pretty different. I think HHH has no hope, but it depends how much Vince really loved him, but I could easily see him going to WCW to be some midcarder lost in the shuffle there. 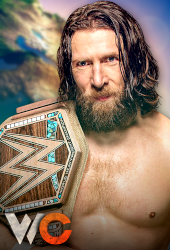 Shawn would of come in with a better contract than Nash and Hall given he was a better level of performer, was a bigger name and was in the mania main event where he went over that year so Eric would of had to of tempt him with more money. That could of translated to a better push than people would expect of him, and like Jim said the factors that would of contributed to his back injured would of been lowered. I'm not sure if Michaels being paid more than Hall or Nash is necessarily possible. At the time, Hall and Nash had contracts where if someone else were brought into the company at a higher pay, their contracts would be upped as well. Case in point, Roddy Piper's arrival at the end of 1996. Piper was offered a contract that was quite a bit larger than Hall and Nash, but that only allowed The Outsiders' 1997 pay to be more than double what they were paid in 1996. It wasn't until Bret Hart's signing that this clause wasn't followed. I still see there being no way that Michaels would get any sort of major push. Look at Bret Hart. Paid an insane amount of money and when he signed, he was the single most talked about wrestler in the world for a time, and yet that first year with the company, WCW did virtually nothing with the guy, instead keeping Hogan in the main event. If Bret and his big contract doesn't get a push, then Michaels' and his lesser contract wouldn't have either. I'm not sure if Michaels being paid more than Hall or Nash is necessarily possible. but if we're playing with the crazy hypotheticals that Michaels is gonna come in with Hall and Nash then their clause wouldn't count as Michaels would already be there, AND they'd probably give Michaels the same clause if Eric was desperate to land him. This is the key point for me too. Bret was a bigger name who came in at his hottest period on a blockbuster contract, and WCW did nothing with him. Don't know why anyone would expect Shawn to be any different. Given their past, it's probably most likely that The Outsiders tag team would be Nash and HBK with Hall likely being used in place of The Giant as the first member of the nWo going after the US Title. Syxx's role in The Wolfpac would be further deminished. WCW in mid 1996 and WCW entering into 1998 feel like two different companies in terms of momentum and booking to cash in on new talent arriving on the top end of their card. WCW in 96 has no momentum at all until the nwo and Hogan. Without the intrigue of a heel Hogan plus Hogan politicing to stay on top, I don't think the nwo is even a fraction as successful as it was. Absolutely. The nWo needed Hogan especially with the biggest heel turn in wrestling history. Having a full WWF trio of HBK, Hall, and Nash coming in together to battle Team WCW at Bash at the Beach, I don't know how they become some big deal. They're just three guys that were stars during WWE's least successful time period. Obviously I don't know as much about wrestling as all of you lol. But I was a rabid fan during this time period thanks to Nick. I think if Shawn had gone to WCW in 96 I think maybe he would have ended up as a member of the 4 Horsemen for a bit since Ric Flair liked him so much even then He would probably have been in instead of Steve Mongo McMichael then eventually maybe a spot in the NWO But I don't think he would have reached the level of stardom he did with the WWE. It's weird. I can easily see Michaels being a member of the Horsemen had Flair formed a version during his run in the WWE in the early 90s, but I can't envision him being a member had he jumped to WCW in the mid 90s. Maybe had Michaels jumped to WCW back when Flair went back in 1993, but by 1996, Michaels seemed to have too much of a rebellious attitude to be a typical Horsemen member. I disagree about Malenko. The Horsemen is about charisma and ability to cut a lively promo. That's the thing about Mongo. In the ring, he may have sucked, but personality wise, he was an ideal Horsemen member. what I was thinking of was Shawn Michaels doing to Flair what Curt Henning did to him when he turned on the Horsemen. Malenko didn't have a personality though. That's the whole gimmick of what The Iceman was. He was all serious who never spoke or showed any emotion. That's not a knock on the guy since it's a gimmick, but it just wasn't a Horsemen quality gimmick. Evolution was very similar in feel to the Four Horsemen. The exception being Batista where he was comparable to Sid Vicious in the early 90s. Not a Horsemen sort of character, but at least they were meaningful stars. In the case of Batista, he did fill the role along with Orton in being the future to complete the past, present, and future of Evolution. So he fits the gimmick of Evolution without being a Horsemen like character. That I can easily see especially with Michaels thinking he was too good for the old Horsemen. Although I'm not a fan of babyface Horsemen. I think wwf would have been better off if this happened. Bret would have stayed and been the in ring rival that Austin desperately needed in 98. Bret would have been the perfect anti-Attitude Era heel, corporate with Vince backing him.